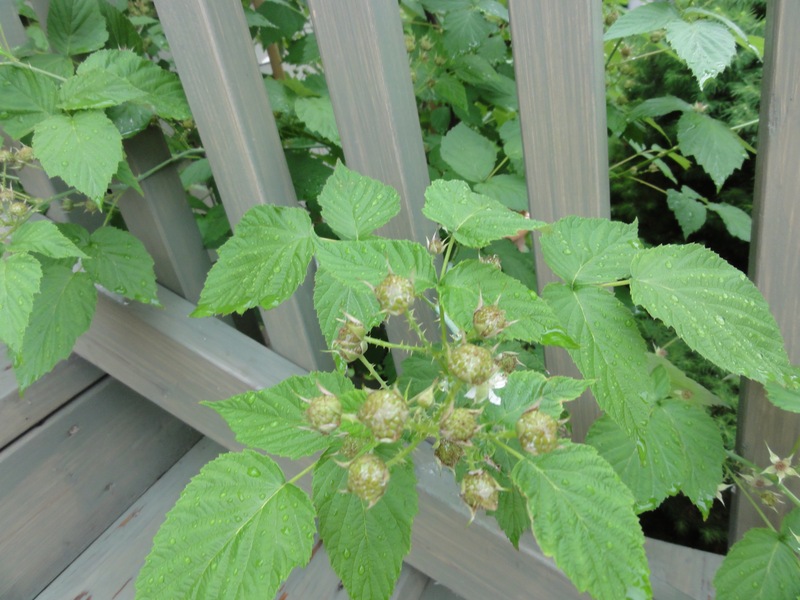 Just sitting here waiting for the raspberries to ripen… (photo by Venice). Guaranteed if you get a CSA basket you are getting a lot of greens (more than you know what to do with?) and a lot of turnips. With all those greens happening, it can be tempting to discard the turnip tops. Turnip tops are like other greens: they cook down to nothing. This recipe makes a nice weekend breakfast or a casual late supper. Travellargefamily is having this for dinner tonight while SWMBO goes to a “Pack-in Camping” workshop – which reminds me, I better get outta here. We had a whack of leftover homemade cassoulet which we subbed in for the beans in this recipe. Sauté the sausages in a large pan until fully cooked. Remove to a plate and keep warm. Drain fat off, leaving 1 Tbsp fat in the pan. Sauté turnip greens, onion and garlic for 3 minutes. Cover pan and cook for another 10 minutes. Season greens with salt, pepper and chili to taste. Pour beaten eggs over greens. Stir a few times until cooked (about 2 minutes). Throw greens & eggs onto sausages and keep warm. Heat beans in the pan. Add to the sausages, eggs & greens. Enjoy!